Bikes are not only great means of transportation for numerous people but are also a great hobby for some people at the same time as well. However, in both the cases, bike owners are always looking for ideas to make their bikes look unique and portray their personalized style efficiently. 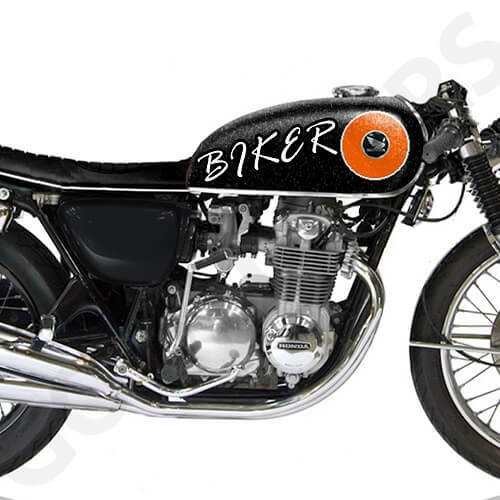 Bike adhesive stickers offer one of the easiest bike customization ways. Go Stickers are sticker experts and we offer custom bicycle decals of the highest quality and unique designs for appropriate personalization. 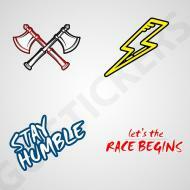 Additionally, our Bike Stickers come at best wholesale offers and we also offer free printing on bulk orders. You will also not have to worry about paying for the printing plates or cutting die equipment while doing business with us. 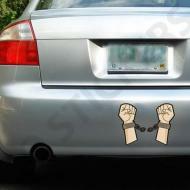 Bike Stickers are customized stickers that are perfect to fit the round rods and corner edges of modern bikes. 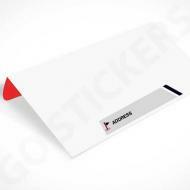 These stickers are manufactured from high quality weatherproof materials that offer strongest and flattest stick for as long as they are not removed intentionally. Specialized stickers for bikes by Go Stickers have the ability to provide unique personalization for the bike frames or accessories like bike helmets. The highest quality materials and strongest adhesives used in their manufacture make them perfect to be used in any kind of extreme conditions. Decades of service in the custom sticker industry has enabled us to realize the fact that Bike Stickers are mostly used on bikes in the most extreme kind of situations where extreme temperatures or water and dust exposure of the highest levels are always affecting them, and to cope with these requirements, Go Stickers deliver solutions that are the most durable and will last for the longest time possible even in the roughest of environments. 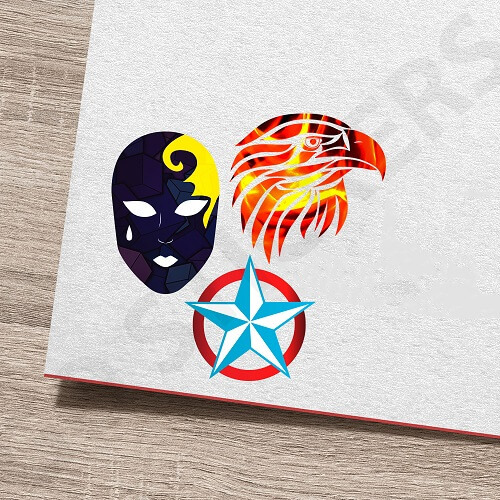 Our expert designers offer unique and personalized stickers while guaranteeing the quality of the highest level. Our longest experience in the industry has helped us establish outstanding sourcing and manufacturing channels that help us keep costs to a minimum and offer our clients the most reliable Wholesale Bike Stickers that suit their needs perfectly. We never compromise on quality the slightest bit while manufacturing our superior quality Custom Bike Stickers and yet offer the cheapest bulk prices by keeping our own profits as low as possible while focusing on more sales. 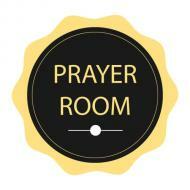 This has helped us gain a reliable reputation in the industry for stickers of various natures. Go Stickers has the most high-tech cutting and processing equipment that is operated by the most skilled hands in the entire industry, and as a result of this perfect combination, we are able to deliver highly personalized Bike Stickers in the widest most personalized design options possible. Whether you have a mountain bike, road bike, dirt bike or a regular functional bike, our customized stickers for bikes have the ability to provide most unique personalization options including bicycle names and bike decals in most unique, attractive and finest quality designs. 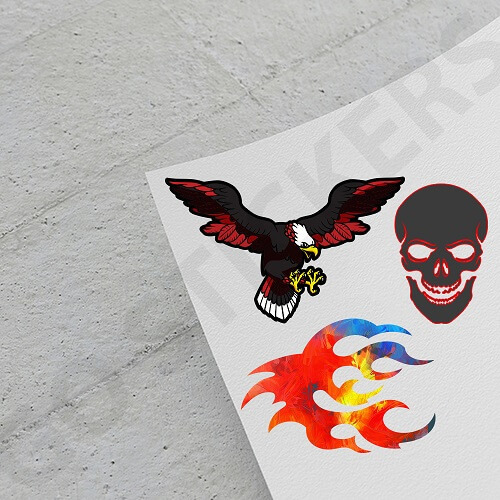 Go Stickers use only the highest quality materials for our personal Bike Stickers and we process them in just the right way using high-tech equipment in order for them to provide the most durable and longest lasting finish. Our Custom Bike Stickers will keep their finest new finish for as long as they are not removed from the bikes intentionally regardless of what extreme conditions they are used in. additionally, we have the highest quality printing plates that offer color combinations of the widest range and highest quality. No matter how complex designs you choose, we will make sure they get printed on your stickers in the most efficient way possible. 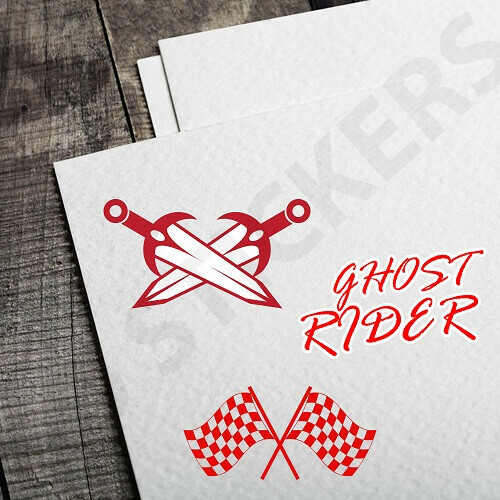 You will not find matching quality custom Bike Stickers at better wholesale rates than what Go Stickers offers you. We keep the quality of materials and adhesives used in our stickers the highest while providing free printing and best bulk prices. Stop having to worry about paying for the printing plates or the cutting die equipment when you do business with us. Our aim is to maximize our client’s business in the most efficient way possible.